Quality work and customer service are the two most important values here at JB’s Lock & Key. We have been licensed by the state of North Carolina (#0693) since 2004 and have over 20 years of experience, making us eminently qualified in all we do. As your home and car locksmith, we do whatever it takes to make sure that you have safe and efficient access to your property. The mobile locksmith that Winston-Salem, NC trusts. JB’s Lock & Key is a family owned and operated company and has been proudly serving the community with our reliable services since we first opened our doors in 2006. Call on us if you need an emergency locksmith or if you have need of our regular locksmith services. We’re here to help you whether you need to get into your car, home, or business. We can also provide valuable services such as door repairs, adding handicap accessible locks, and much more. 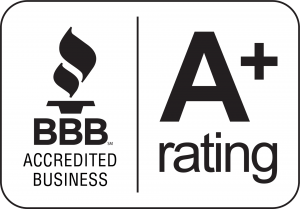 It’s no wonder why our BBB Rating is A+! Our locksmith service covers you no matter what you’re locked out of. Whether you’re locked out of your home, or you need an experienced auto locksmith to get you back into your car, we’re here for you. Whenever you’re in an emergency situation, call our locksmiths.